Africa Chess Net recently had an interview with Reuben Salimu, Founder and CEO of African Chess Lounge. We got to find out about a very exciting development, the launch of the African Chess Magazine. Bruce: Hi, Reuben. How are you doing? It’s been a while since we chatted. I see you have announced you are going to be publishing the African Chess Magazine . What can we expect from this magazine? What’s been happening with you and the business? What’s going on in the world of chess? Reuben: First of all, thank you, Bruce. I really appreciate your interest in Chess and what you are doing for Africa in general. The magazine is, first of all, a way of capturing local games and the standard of chess in general and just reporting on that utilizing the most advanced chess players we have in the continent, pointing out the mistakes of our youth players, of our current top players so just the standard of chess rises and we see really where we are and then obviously the embedded sort of unspoken point of the magazine is to educate and improve the quality of chess. 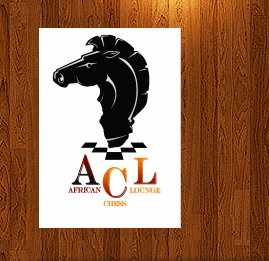 Recently, African Chess Lounge just had quite a lot of successful projects and starting with the TV show Armageddon Chess Challenge, Chess for All Tournament, The Four Corners movie, Claremont Chess Festival, and now The Online Coaching Platform so there is just a lot we have been doing but behind all of that is a constant drive to try and see how we can improve or better chess for the continent as a whole. And in the direction of furthering or improving chess as a whole, this is where the online training system really comes into play and I have always believed that we have so much talent in Africa but because we don’t have a culture of chess, it’s very difficult to improve our chess players or educate them in such a way that they can play at the top level. So, what African Chess Lounge has managed to do is to actually break that barrier by introducing an online coaching platform which anyone anywhere can receive coaching from a master or a chess coach anywhere in the world. This not only opens up the top which is Grandmaster coaching, International Master coaching but also enables people in areas which are remote anywhere really to receive top-notch training at any given time provided they have just got internet access on their computer. Bruce: I am really excited to hear that there is so much happening in the world of chess, especially here in South Africa. Now, tell us a bit more about this magazine. What format is this magazine going to be? Is it going to be hard copy or is it going to be a soft copy and where will people find it? I mean, how often it will come out? Yeah, just tell us as much as possible about this magazine and what we can expect from it and when? Reuben: We want to make it available pretty much on all electronic platforms and at this point we are just going to be giving it out for free. My belief is if you give enough literature and if people are informed enough, their interest naturally rises. Maybe it’s not so easy for people to get books and materials and so on but what we want at the end of the day is everyone to have access to chess. That’s more important and we must not lose sight of that goal. Then the business aspect of what we do gets realized the more people we have playing chess. So, the magazine is a way to engage as many people as possible and the format would be basically informative of course with good social commentators on the magazine, that’s the first thing, so that we cover the social aspect of chess. Then we have the technical aspect of chess which is the game and so on and how to improve and games that were played and where they made mistakes and who’s who and what’s happening and what have they achieved. So, it’s like a chess newspaper you could say for the continent. That’s the format which we are looking at regarding the magazine. Yeah, I don’t see any other sort of aim with it except to be as informative as we can about chess in Africa. Bruce: A free magazine you said. Reuben, that should be interesting but how do you plan to make money? What’s your model going to be if you are distributing the magazine for free and what your circulation is projected at? Since this is going to be electronic, I assume you can send out as far as possible but I would love to hear more about how you actually plan to make it available if you have the liberty to share that. Reuben: As for distribution, there is a free sort of a way we can distribute a magazine electronically and should be able to access it on the web and then if a PDF system distributed their magazine to ACL members who are on some sort of subscription, this will only be made available to members who are on our membership system. Everyone else should be able to access it online. That’s the idea. And, yeah, of course we are not limiting the content only to Africa. Once you put it on the web, it’s available to everyone. That’s the idea. Bruce: Thank you so much, Reuben, for sharing all this information with us. I for one as a big chess fan and player; can’t wait to get my hands on it and to see what you have got to share with us and also see how the online coaching system works. Any parting words for the chess community seeing as there is quite a few things taking place this year. We have got the Millionaire Chess Open in October and then we have got the match between Vishwanathan Anand and Magnus Carlsen. Reuben: Yeah, I think 2014 is an amazing year for chess and I think it’s probably not just 2014 but that the next 10 years are critical for the transformation of chess from a minor sport to something is a socially acceptable big sport. I think Millionaire Chess is quite a revolutionary idea and will change the whole approach to chess and the way cooperates approach chess as a marketing opportunity. So, I think Maurice has really done something amazing there and from speaking to him, he is quite pumped about making that successful and of course we will back him up as much as we can and whatever he needs. The match between Anand and Carlsen should be an exciting one. I really am looking forward to that one. I am a bit old school so I will be backing Anand. Anand has got psychological advantage in this match and I have a wish that perhaps Anand can get Kramnik and Nakamura on board to assist and I think that would just bring in the sort of ideal setting for an exciting match. My parting words is that we have really worked hard at bringing this online chess platform. It’s something to really take advantage of. It’s something which we have not had. We have had makeshifts to get coaching but this is it. I don’t think there should be an excuse for someone who is hardworking and willing to put the time to get someone to assist them and set some goals, work towards them and from inception, I think, with what we have now, I give it 3 years to 5 years and we should be producing Grandmasters and that’s a realistic goal. With the availability of information and facilities now, there should be no excuse that we can’t produce a Grandmaster. We can do it now and it’s something I would like to see and I would be very happy to be a part of that machine which I hope accomplishes that. Bruce: Wow! Three to five years to produce a Grandmaster. I really love your vision and your optimism about this. I think it’s high time that Africa starts to produce Grandmasters. As you say, there is no excuse. Thank you so much, Reuben, for this excellent interview. I look forward to catching up with you some other time and in the meantime I am going to be keeping an eye on this magazine and test the online training platform. I can’t wait to get my own copy and catch up with the world of chess.